Have you ever tried Dutch frikandellen? These snacks are amazing, but home made they're even better! Recipe for 10 frikandellen. 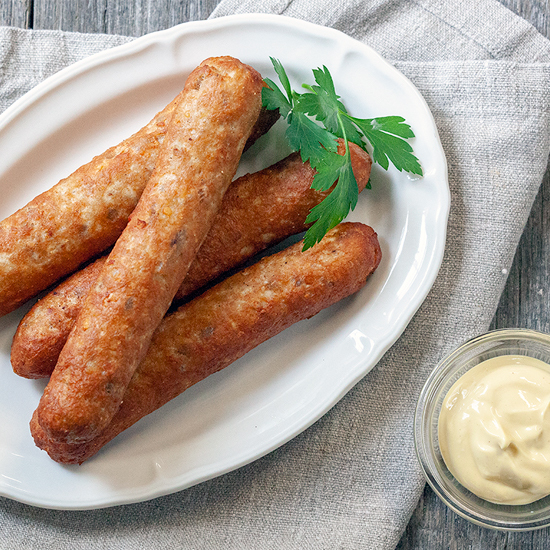 If you’re using bacon with rind (skin), it’s best to remove it so you won’t have any hard pieces in your frikandel. 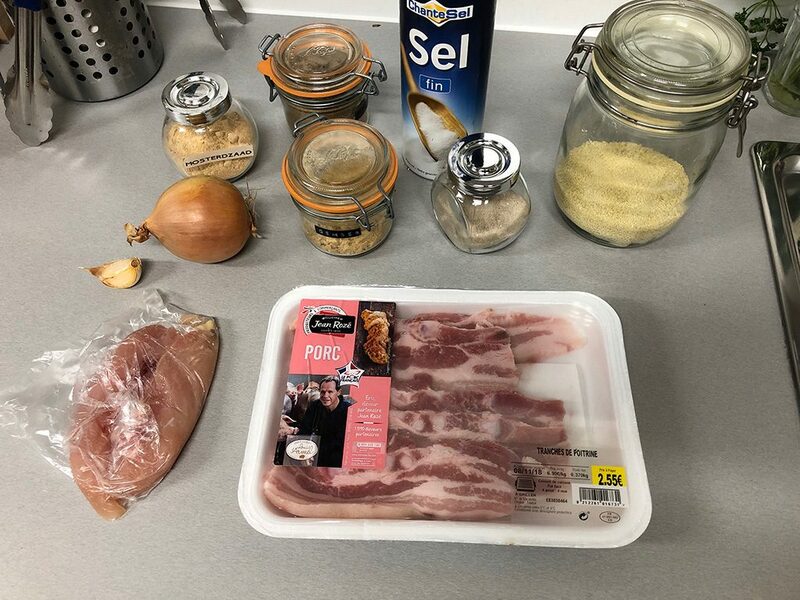 DIVIDE the bacon and chicken into coarse pieces and add them to your food processor. PEEL and coarsely chop the onion and garlic cloves. Note: Its not possible to use a blender, cause mostly they won’t handle dry ingredients that well. COMBINE the spices in a small bowl along with the bread crumbs. ADD the coarsely chopped onion and garlic to the food processor and MIX with the meat for about a minute. STOP the food processor and add the spices. MIX until you’ve reached a smooth and firm mixture. Meanwhile CLEAN your work surface and add a little bit of water to it. LINE a piece of cling film on the wet work surface. Make frikandellen of 100 gram (about 1/2 a cup). CREATE a ball with your hands and carefully roll it into a strip onto the cling film. ROLL the frikandel as tight as possible into the cling film. REPEAT above steps for the rest of the meat mixture. FILL a large pan with water and bring to a boil. As soon as it boils, turn the heat down and transfer the frikandellen wrapped in cling film to the water. COOK the frikandellen for about 10 minutes, so they’re completely done on all sides. REMOVE the frikandellen from the water and remove the cling film. You can fry them right away or freeze them for later use. COVER a plate with cling film and place the frikandellen on top, make sure they don’t touch each other. FREEZE them and as soon as they’re frozen you can transfer them easily to a ziplock bag. This way they can be frozen without being all one large lump. HEAT the frying oil to a temperature of 180 degrees Celsius or 350 degrees Fahrenheit. Deep-fry the frikandellen until they’re golden brown. 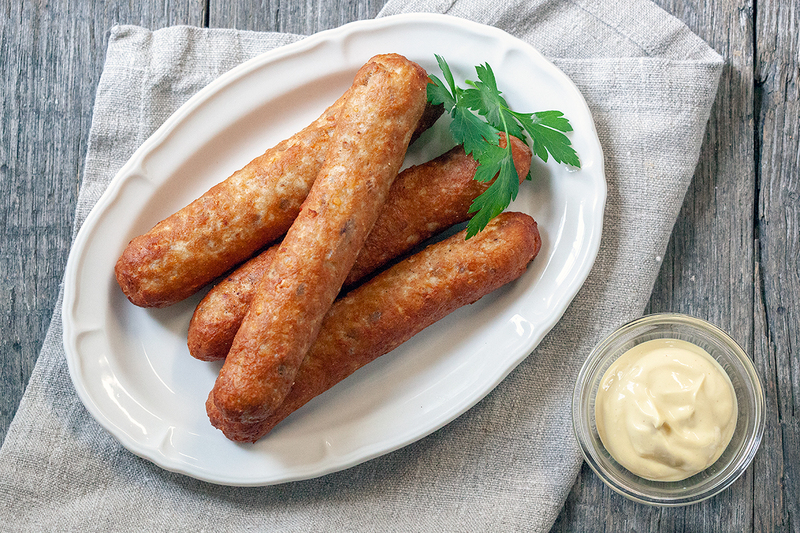 SERVE with chopped onion, curry and mayonnaise for a ‘frikandel speciaal’. 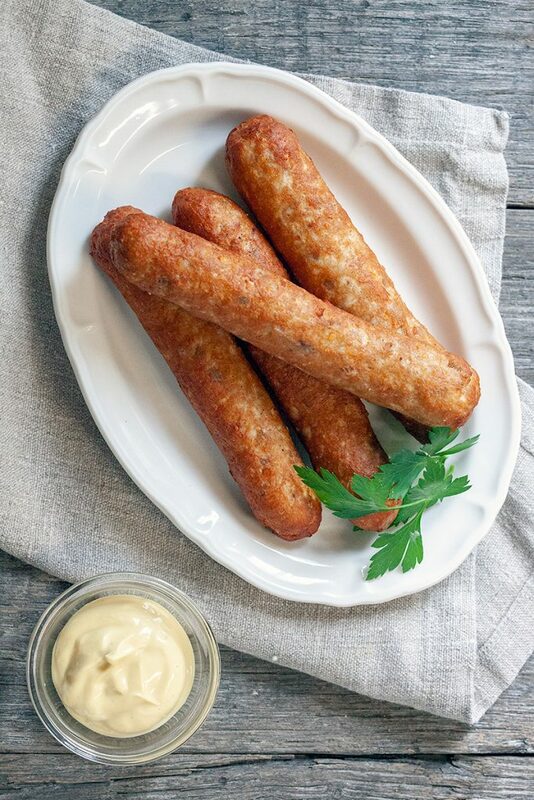 Enjoy these homemade Dutch frikandellen!